Access to and use of this website is subject to the terms and conditions set out below. By accessing and using this site, you agreed to be bound by these terms and conditions. By entering a competition on Facebook, you are agreeing to Heron & Brearley storing and using your information for marketing purposes. We will not share your information with third parties unless you specifically agree to us sharing these details. By submitting your post to the Facebook competition post, you are granting permission for these details to be used by Heron & Brearley online at www.pubsandbars.im and other online communications. 1. 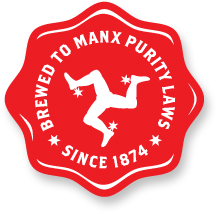 To enter this competition you must be: (a) IOM resident; and (b) 18 years old or over at the time of entry. 2. This competition is not open to employees (or members of their immediate families) of Heron & Brearley. 3. An entry counts a comment on the Facebook post, including a ‘tag’ of another person who also must be an IOM resident and over the age of 18. Incorrectly completed entries will be disqualified. 4. No entries from agents, third parties, organised groups or applications automatically generated by computers will be accepted. No incomplete or corrupted entries will be accepted. Any entries not in accordance with the entry instructions will be rejected. Any entries containing offensive or inappropriate content will be removed. 5. Only one entry per person will be allowed. 6. No responsibility can be accepted for entries that are not received for any reason. The organiser (Benjamin Collins) also reserves the right to refuse, entries which are corrupt, incomplete or fail to arrive by the closing date. 7. The prize winners will be selected randomly from all participants who participated. 8. The decision of the organiser in relation to the promotion is final. No correspondence will be entered into. 9. The closing date is as specified in each competition, and Heron & Brearley reserves the right to amend the competition end date at any time. 10. If you win a competition, we will notify you by Facebook. If we cannot contact you or you do not respond within two weeks, we reserve the right to offer the prize to another competition entrant. 11. No prize or part of a prize is exchangeable for cash, tickets or services. The prize is not transferable, re-saleable or exchangeable. 12. The prize is restricted to 2x Pint Okells 1907 for 2 adults only. 13. It is the responsibility of the winner to inform Heron & Brearley of any wheelchair or other access requirements for the winner and/or their party when taking up the prize. 14. In the event of unforeseen circumstances, Heron & Brearley reserve the right to offer alternative prizes of equal or greater value. 15. Heron & Brearley reserves the right to amend these rules at any time. We may also create rules which will apply to a specific competition only. If we do this we will publish the amended competition rules and/or specific competition rules on the relevant competition page. 16. Heron & Brearley reserves the right to amend, alter or terminate this promotion at any time due to circumstances beyond its control. Our website may contain hypertext links to the sites of other companies or persons. Should you choose one of these links you will be leaving this Company's site for a site which this Company has no control over and accepts no liability for. Please note that downloading computer programs from certain sites risks infringing copyright and may introduce computer viruses. This site contains material which is owned by this Company and is protected by international copyright, trade mark and other intellectual property laws. No permission is given by this Company in respect of the reproduction or use for commercial purposes of any brand names, product names, designs and other materials shown in which intellectual property rights subsist. You are only entitled to copy electronically and print hard copy portions of the website for the sole purpose of viewing and purchasing products of this Company. This site is controlled and operated by Okells Limited from its offices in the Isle Of Man. Okells Limited makes no representation that material in the site is appropriate or available for use in other locations. Those who choose to access this site from other locations do so on their own initiative and are responsible for compliance with local laws if, and to the extent that local laws are applicable. These terms and conditions and anything in this site shall be governed by the laws of England and Wales.